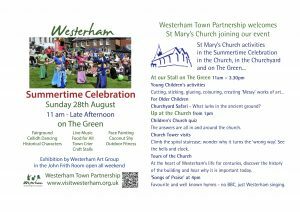 a Westerham Town Partnership Project. Here’s a sample, the boyhood of General Wolfe. 13.00 – 13.45 Live music from locals Hobo and the Hippies, who have an EP on sale! 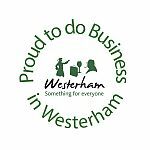 15.45 – 16.30 Live music from The Waterman Trio, who are based in Kent and singer Charlie hails from Westerham. Some of their influences include Alanis Morissette, Fleetwood Mac, Michael Jackson, Paul Simon, Bruno Mars, Florence and the Machine and more!